The Committee is working hard to plan events further ahead than we have done in the past so here are the things that we have planned for next year. Friday 7th to Monday 10th TRICENTENARY OF BATTLE OF GLENSHIEL. We will have a weekend of activities around the Glen Shiel area. Keep the dates free. UPDATE: WE WILL NOW BE BASING OURSELVES IN THE INVERNESS AREA AND WORKING WITH THE ASSOCIATION OF HIGHLAND CLANS AND SOCIETIES (AHCS) TO PROVIDE A FULL WEEKEND PROGRAMME. MORE INFORMATION TO FOLLOW. Saturday 6th (TBC) Gairloch Highland Gathering 10am – Clan Society Promotion Stand. Saturday July 20th Inverness Highland Games, Bught Park, Inverness, 10.30am – Clan Society Promotion Stand. Saturday 10th Strathpeffer Games. Our home Games – Clan Society Promotion Stand. 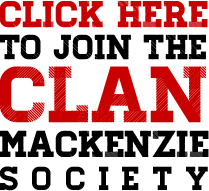 Saturday 7th BRAEMAR HIGHLAND GATHERING – Clan Society Promotion Stand.